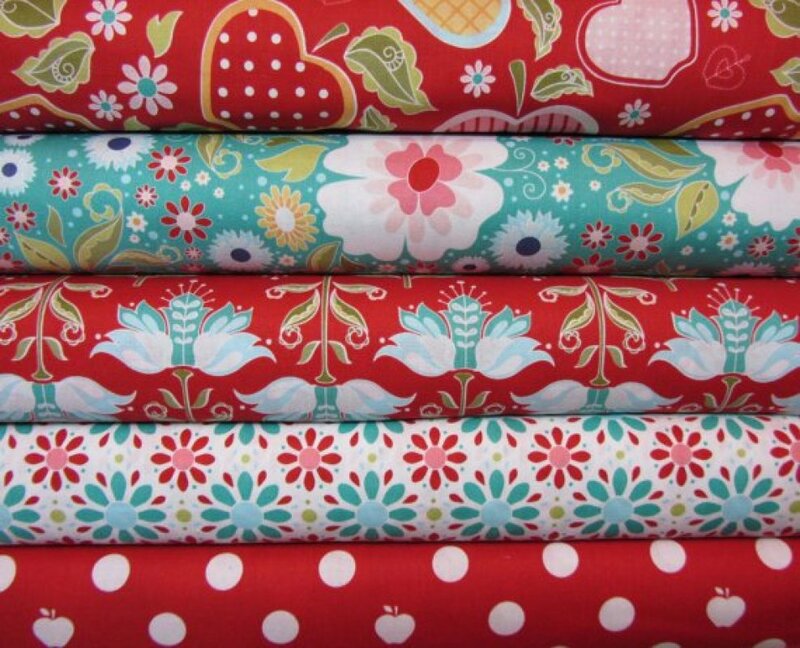 Thank you Amanda Henning from The Quilted Fish for this beautiful collection. Thanks to Riley Blake for printing it again this year. We're gonna do it! 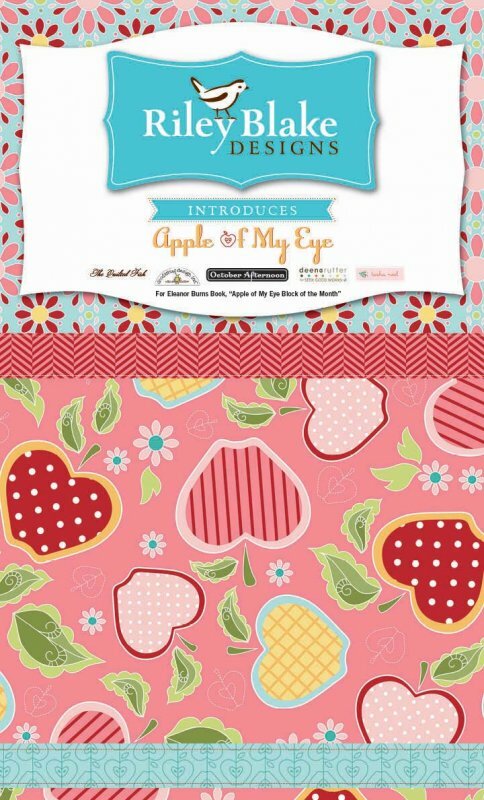 We've chosen Eleanor's Apple of My Eye Quilt for our 2014 Saturday Sampler. 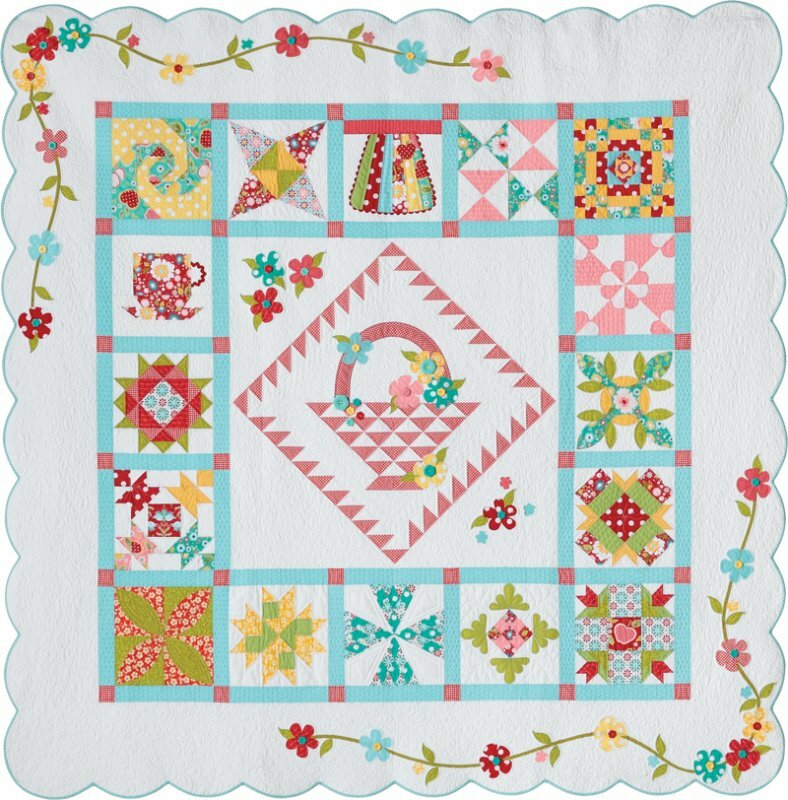 The quilt is gorgeous, 92" square and exquisite in Riley Blakes Apple of My Eye Collection from Quilted Fish. Just as you see it here, the lively prints on their "clean white" is this stunning quilt from favorite designers in our industry. We will start the sampler in January 4th, 2014. Other border options are available from the book. We will do the large quilt, 92", but the smaller 50 inch piecing instructions are included in the book. You know Eleanor, she is excellent with instructions. 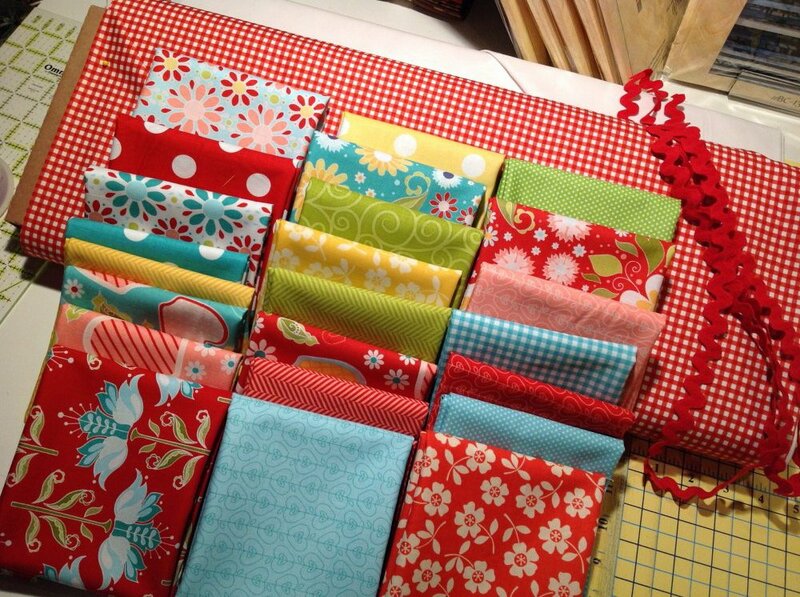 You could make two little 6 inch blocks from each 12 inch block monthly kit. Sign up at the shop with your book purchase. 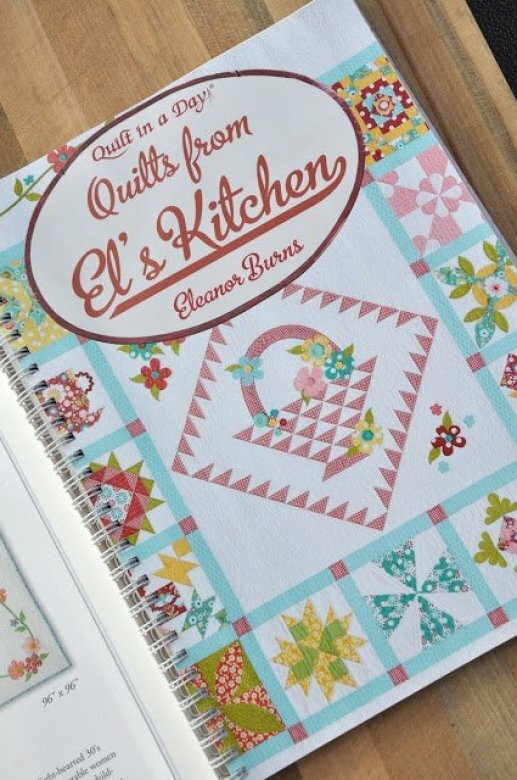 See the cover quilt and inside for more pictures and extra goodies like recipes and stories from El.